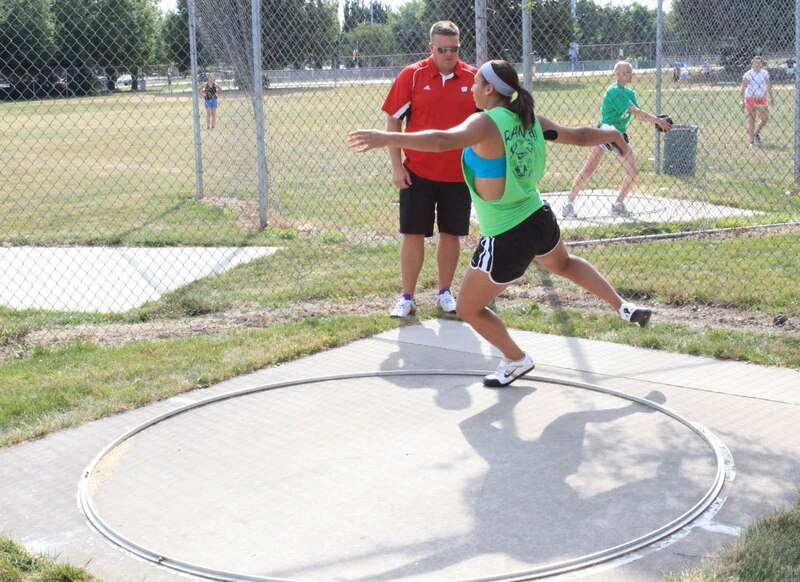 Friend of Madison Throws Club, Alicia Deshasier has won the Javelin at 2011 Pan American Games in Guadalajara, Mexico. Alicia won the gold medal with a new personal best of 58.01 meters (191'4"). "The experience here in Guadalajara was awesome," DeShasier said. "The opportunity to represent the USA and then throwing a personal record at an international meet is a great feeling." Alicia lives and works here in Madison, Wisconsin, she trains with UW Badger throws coach Dave Astrauskas. 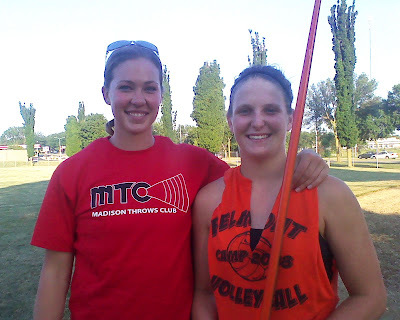 Alicia has helped MTC athletes with beginning Javelin technique. We couldn't be happier for Alicia's big win! Congrats - all of your hard work and dedication paying off. What a great way to close the 2011 season...good luck heading into your 2012 Olympic preparation. H.S. Shot Put P.R. 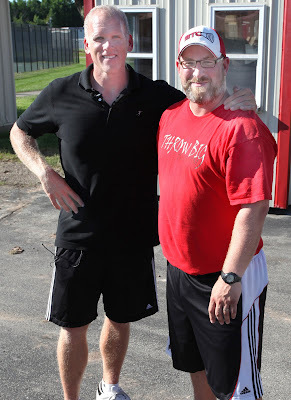 47'8"
"Joe and his coaches not only have an impressive list of athletes they have worked with, but they have the ability to work with any athlete at any level." "Joe puts his all into his athletes to create a personal connection which helps an athlete find the success they are capable of." 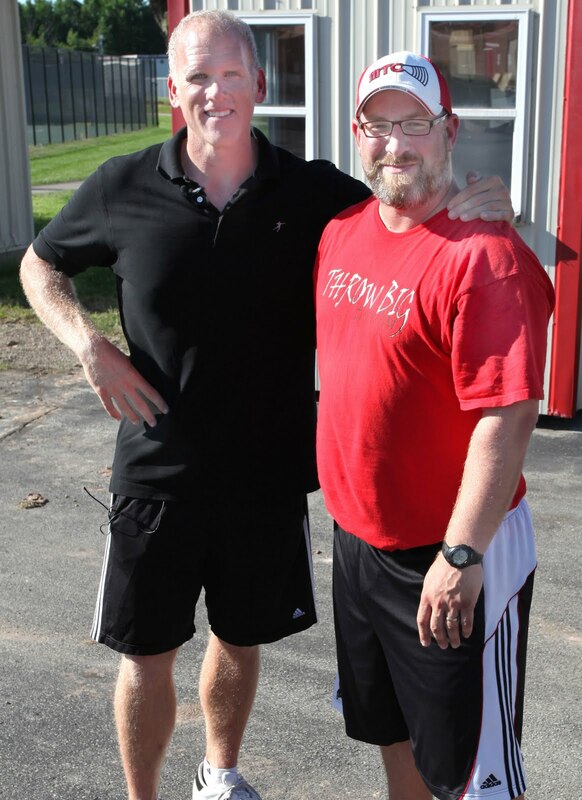 "His clinics, fall/winter sessions, and summer Throws Club is the place to improve as a thrower." "GET IN THE WEIGHT ROOM! In high school I only went to the weight room for Phy. Ed class. I regret not starting to lift earlier in my throwing career." "Believe in yourself and listen to your coaches. Be coach-able and remain open to changes in technique." Madison Throws Club is excited to continue working with you...and if your new...we can't wait to get started. Madison Throws Club now in its ninth year of instruction will also provide 2 new offerings this summer. 8 sessions of group work to take your Shot Put and Discus technique to new levels. We will meet Mondays and Wednesdays 3:30-5:00pm. 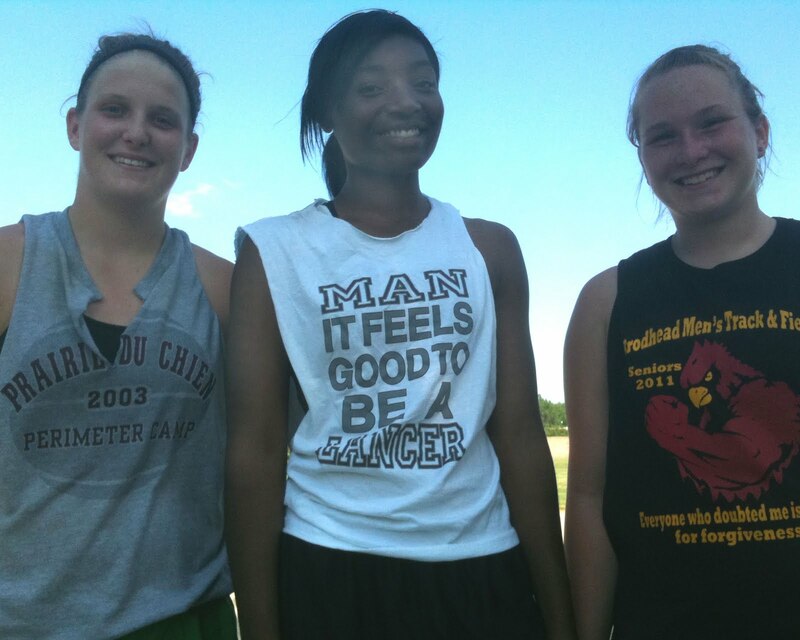 All Middle School, High School, or College throwers passionate about throwing should join. 4 sessions aimed at giving beginning throwers all the basics for Shot Put and Discus in a small group setting. Athletes entering 6,7,8, or 9th grade who want to learn how to throw should attend. 4 sessions for elite throwers to work on more advanced technical aspects of the throws in a small group session. Athletes who have a strong understanding of throwing technique and would like to work on specific aspects of their skills should attend. REGISTER NOW! by printing and mailing in your Registration, Waiver, and Payment. Throwers who can not commit to the MTC schedule or have too far to travel regularly to Madison should contact Coach Frontier to set up a One-on-One or even a small group session with some of your teammates or friends. 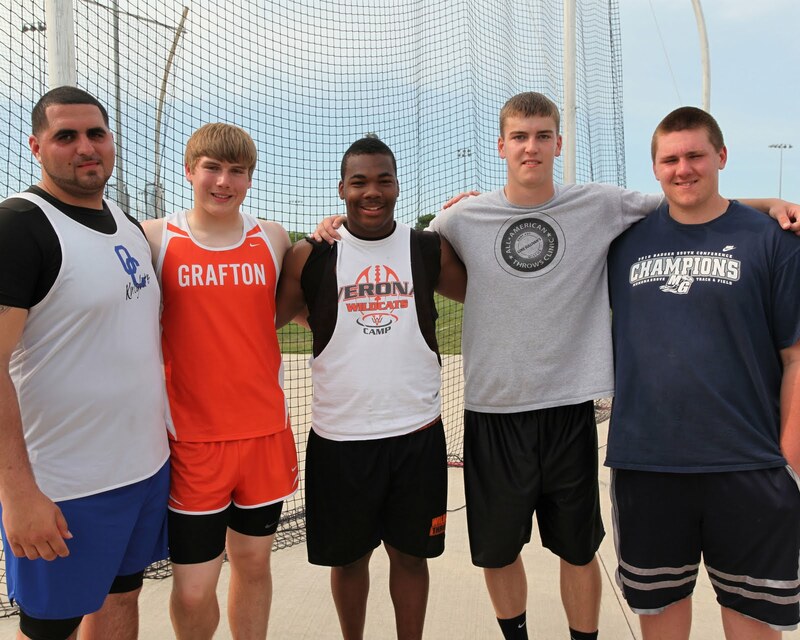 Drex Jackson (sr) Verona, Theron Baumann (jr) Monona Grove, Josh Archibald (sr) Monona Grove, and Jon Jung (sr) Madison Memorial - all had strong performances in the Discus at the 2011 Spartan Invite. Drex's P.R. of 174'5" was good enough to best the field and move him up to #2 on the State Honor Roll. Baumann, now #3 on the H.R. finished 2nd, 165'4". Archibald set new personal bests in the the Shot and the Discus, his Discus throw of 151'4" was good for 4th place. Jon Jung threw 135' 8" to take 7th. Best of luck the rest of the way boys. Keep up the good work. All 3 Madison Throws Club girls in the competition of 30 throwers take home 2 medals a piece at the 2011 Lady Highlander Invite. Molly Griep (jr) Whitewater- 1st in Discus and 2nd in Shot Put, Corinne Franz (so) Madison Memorial - 3rd in Discus and 5th in Shot Put, Jessi Ford (so) Madison Memorial - 5th in Discus and 6th in Shot Put. 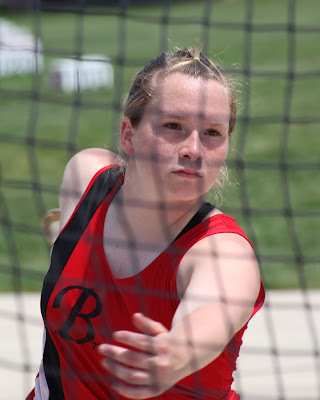 Molly's Discus throw of 130'4" was a season best and she threw 38' in the shot. Jessi had P.R. 's in both the Shot 32'6.5" and Discus 90'11". Corinne battled to throws of 33'1.75" in the shot and 109'5" in the Discus. Some big throws from several Madison Throws Club throwers this past weekend brought a close to the month of April. Theron Baumann (Jr) Monona Grove took over the Shot Put lead on the State Honor Roll from fellow MTC thrower Rafael Saez (Sr) Oak Creek. Theron's throw of 58'8.5" is a new P.R. 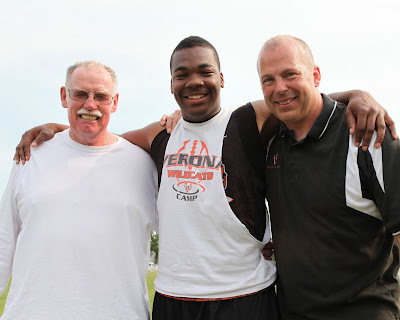 for him and makes him the first thrower in the state to break into the 58's this year. Kailee Kamps (Jr) Belmont also had a P.R. Friday night. Her's came in the shot put, throwing 43'1" to pull with in a half inch of the top throw in the state for the 2011 season. Corinne Franz (So) Madison Memorial had a P.R. in the discus, throwing 113'2" to best the field at the Baraboo Relays. While Andrew Brekke (Sr) LaCrosse Central had the best throw in the boys Discus at the Baraboo Relays.